The Season of Epiphany is coming to a close as we celebrate Mardi Gras and then Ash Wednesday – the beginning of Lent. Mardi Gras means “Fat Tuesday” – both are names for “Shrove Tuesday” a traditional day of repentance and remembrance as one prepares for Lent. Ash Wednesday marks the beginning of Lent 40 days before Easter (46 days, but Sundays are not counted in the 40). Here is an idea for a short confession and absolution for families. Confession has 2 parts – First we confess our sins, then we receive absolution, that is, forgiveness from God himself. Start by thinking of the sins you know you have committed. Times when you were mean or hurtful. Moments of rudeness or a short temper. Times when you neglected your family and friends. Occasions when you did not love God with your whole heart, or your neighbor as yourself. Use this or something similar to conclude your pancake dinner on Shrove Tuesday. Share Your Creative Ideas – because the Community is the Content! When it comes to passing on the faith to our children, we could all use some creative ideas. Sometime we are the ones who have the creative ideas! Where do you go when you are looking for things to do with your children that will help guide them to Jesus? Where do you go to share your successes, your trials, or your questions? 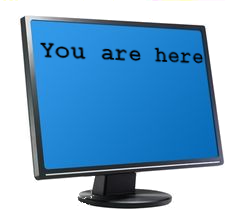 You’re here! Join the Conversation! You are here at our partner web page that not only archives old emails and videos, but gives voice to all the parents out there who are doing amazing things with their children. Join the conversation! Our new web page is designed for you! The community is the content. The more people who visit the site and add their thoughts, ideas, questions, and stories the better the page becomes. Will you add to the site? Will you share some stories of faith development from your home? Add comments to what other people are doing. Have a question about what to try when it comes to praying with your 2nd grader? This is the place. Make familiesinfaith.org one of your regularly visited web pages–the one stop shop for parents who want to pass the faith on to their children. Find it here–share from here…. You’ve probably noticed, but our site archives all of the videos and content from the families in faith emails. Need to find ideas from Advent, or the teaching about Jesus? You can find it on this site. Did you miss a video or want to watch an old one to revisit what you learned? Do you remember the topic, but not the date – you can search by topic as well. Keep coming back to Families in Faith for all the content from the families in faith emails, to be a part of the community and add to the conversation, and to see what ideas that others are sharing as well. 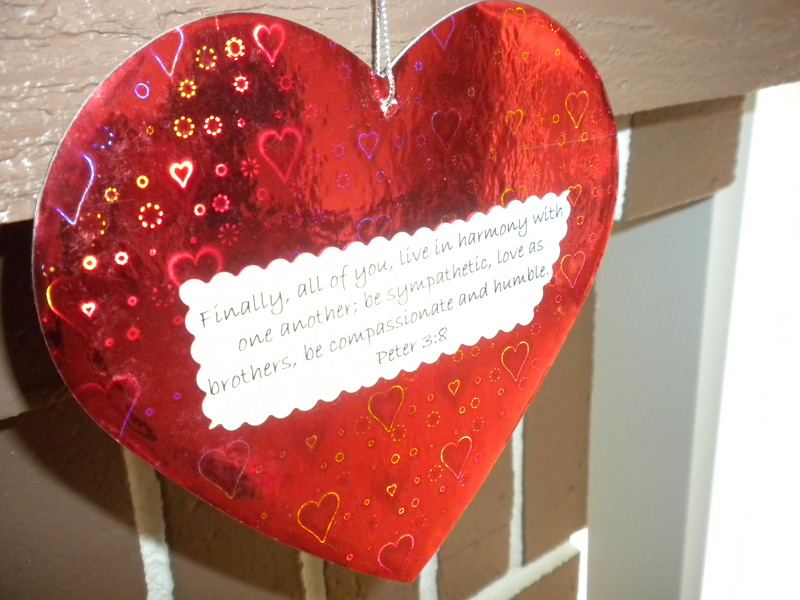 I bought some inexpensive hearts from Michaels one year and added several different LOVE Bible verses to each one. I hang them throughout the house. We don’t really talk or discuss this very much, but they are there. I also try to have a special dinner for the whole family on Valentine’s Day. This year I also hope to share a little bit about the legend and origin of Valentine’s Day with them. Do you have any special ways of celebrating Valentine’s Day with your family? As we work to teach our children about Jesus we can use the wonder and power that come with His miracles. Jesus’ miracles prove to us that He is God, and that He loves us and is on a mission to restore His creation. Miracles still happen today – spend some time with your kids looking for God’s miracles in the world and in your life. The idea of Jesus being a liar, lunatic, or Lord comes from C.S. Lewis. He does an amazing job putting forth this concept in his book “Mere Christianity”. The video below is a reading from the book on this concept. Chronological look at Jesus’ Miracles as recorded in the 4 Gospels. – Jesus’ miracle of turning water into wine. – Teaching children to pray for miracles. – Map with locations of where Jesus performed the various Miracles recorded in the Gospels.